If you’re a Cleveland Indians fan, you’re likely counting down the days until MLB Spring Training begins. Having just watched the team come a run short of a World Series championship probably left some wounds still in need of healing, and only getting the 2017 campaign up and running will do the trick. After the offseason the Tribe has put together, there are clearly plenty of reasons to be optimistic. The team locked up all of its arbitration-eligible players, boasts one of the league’s best rotations which is coming back at full strength and, for the fun of it, went out and acquired one of the best bats in the majors, slugger Edwin Encarnacion. It’s safe to say Cleveland is going for broke in 2017. That said, baseball can be a strange sport, so even with everything looking favorable for the Tribe, a return to the World Series is hardly guaranteed. More than a few things are going to need to break the Indians’ way if they’re going to get a second crack at bringing home the trophy which just barely eluded them last fall. 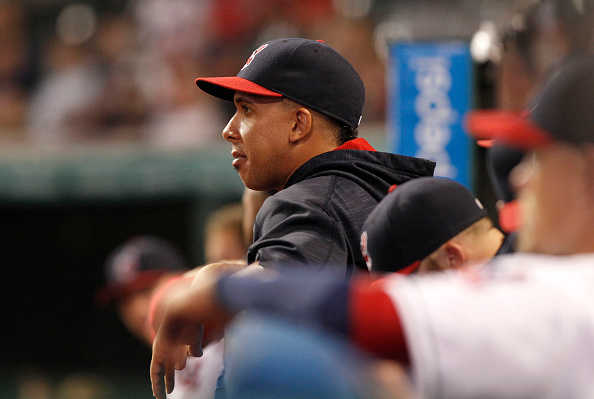 An example would be the health of one of their best hitters, outfielder Michael Brantley. Obviously the acquisition of Encarnacion will play a large part in Cleveland’s upcoming season, as will the continued growth of young players like Francisco Lindor and Jose Ramirez. That said, whether or not Brantley can return to full strength will be a major factor in how the Indians’ 2017 season plays out. There’s been an alarming amount of mystery when it comes to the injury Brantley is currently recovering from. After flying through shoulder surgery rehab last winter, it certainly seemed as though there was nothing to be concerned about when it came to his health. However, Brantley only made it eleven games into the season before being shelved again. Various reports of his return were always followed with news of a setback, and he was eventually shut down for good after undergoing another surgery in August. Based on who you ask, said procedure was either a success which should have Brantley ready to go this season, or was an incredibly serious surgery which may leave him a shell of the player he used to be. Some reports even claim he had to have muscle anchored back down to the bone. Per Brantley, while there’s no set timetable for his return, he feels good about his progress. The Tribe will most certainly take a cautious approach to his recovery this time around, but at the very least it’s good to hear his rehab process doesn’t seem as dire as some reports have made it out to be. Knowing how far they made it despite his absence last year should definitely have the Indians feeling comfortable about not rushing Brantley back, as should adding some power to the lineup in the form of Encarnacion. That said, this hardly means the team can afford to carry on without him again. A healthy Brantley impacts many things for Cleveland in 2017, most obviously the batting lineup. While the Tribe certainly has an imposing setup now, slotting Brantley into the picture turns the team into a juggernaut. A combo of Lindor, Encarnacion, Brantley and Ramirez sounds like an opposing pitcher’s nightmare, a situation made all the more daunting when adding Jason Kipnis and Carlos Santana into the mix. If Brantley can return to his MVP form, or even get close to approaching it, the Indians lineup becomes almost unfairly stacked. Having him back at full strength also addresses the biggest area of concern for Cleveland – the outfield. At the moment, the Indians head into Spring Training with a platoon of young players (Tyler Naquin), converted infielders (Lonnie Chisenhall), situational players (Brandon Guyer) and untested rookies (Bradley Zimmer). It’s not exactly a setup which will ease anyone’s nerves. Add Brantley to the mix, though, and you at the very least solidify left field, while Chisenhall has proven he can handle right field duties. This would essentially erase the question marks and inconsistency which practically went across the board in the outfield last season. So, while the Indians’ lineup is certainly solid without Brantley, the difference he makes when added into the picture is huge. At full strength, he would turn the offense into a powerhouse while also steadying the shakiest area of the team. The Indians made it to the last inning of the year without Brantley. Add him into the fold, and it just might be enough to push them across the finish line this time around.